Flashes are used in photography to produces an instantaneous flash of artificial light at a color temperature of about 5500K to help illuminate a scene. 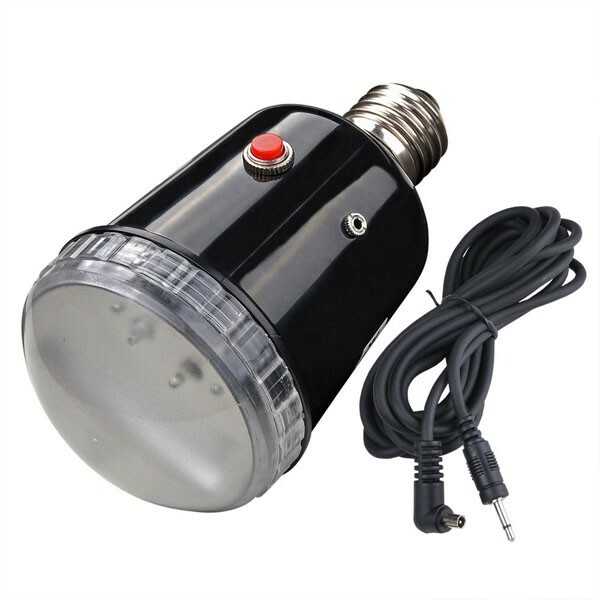 This strobe light is simple to use and can be added to almost any lighting system simply by adding to a standard light socket. The front cover works well to diffuse the light, creating a soft, even light for your subject.